I have had difficulty creating long-lasting foam using the seventh generation dish soap. 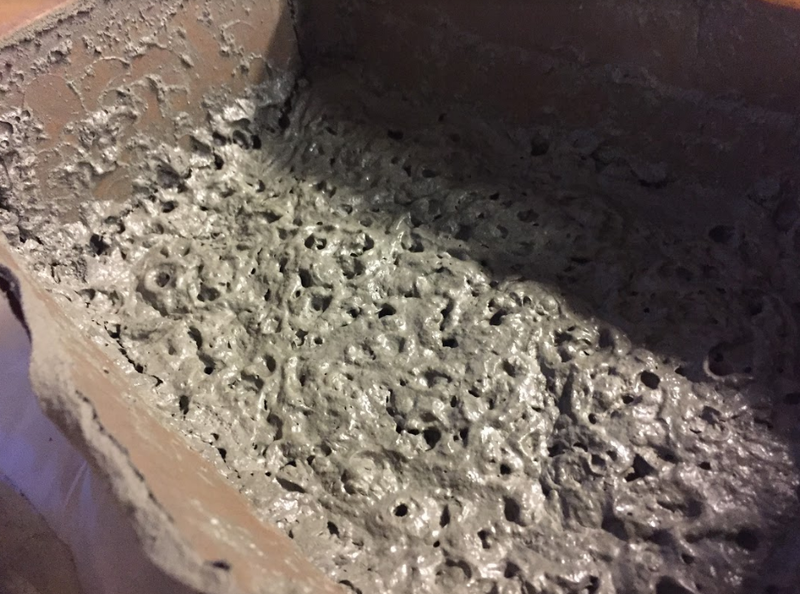 The aircrete mixes well and pours with a light velvety texture, however after about 20 minutes in the mold, it starts to rapidly collapse, within a minute or two, down to half of its poured volume. 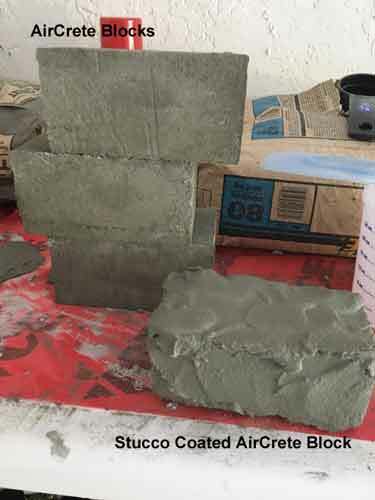 This mixture is about 1/3 concrete slurry and 2/3 foam, per one of domegaia's videos. This same mix and procedure had worked out for one batch in the past and it hasn't worked since. Maybe because that was on a somewhat hot day (85 degF), it is colder now (60 degF), do you think that temperature difference would create such a drastic change in aircrete formation? I cant think of anything else that would be different..
^^some examples of aircrete collapsing. that aircrete shown in the cardboard box was filled to the brim. and it collapsed more than half the height! any tips come to mind? 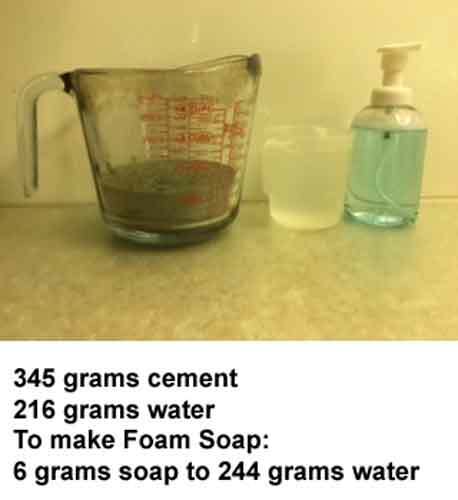 Make sure the foam density is correct and please let us know how it worksout. Make sure the foam density is 80 - 100 gr/lt (3oz/qt) then let us know how it works. Thank you for the feedback, I just confirmed the weight of a liter of foam on my kitchen scale to be 92 grams per liter which is in the range you mentioned. Again we are using the seventh generation soap as a foaming agent while running the little dragon at 55 psi. 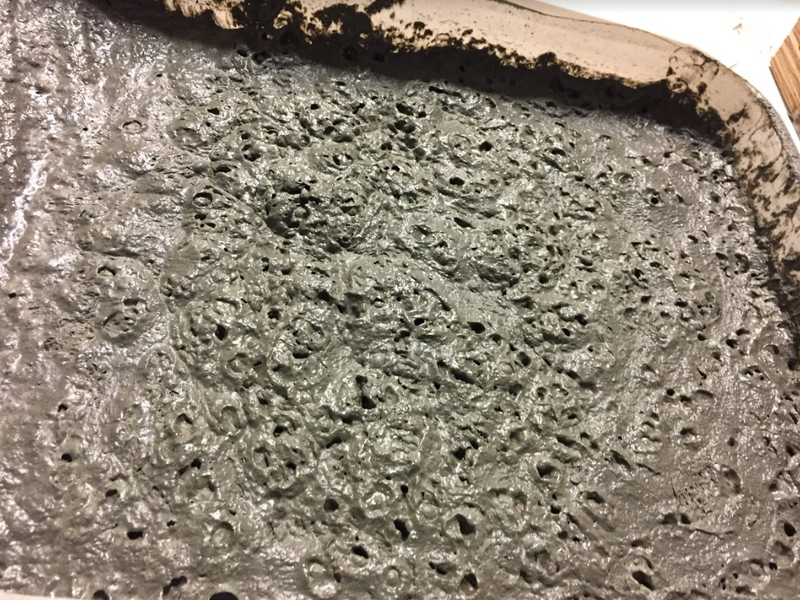 The aircrete is still collapsing, same as before. Please advise. Perhaps a new foaming agent is in order? Or perhaps the well water we are using might contain minerals that react with the soap or perhaps the concrete? Thank you for your help. Very excited to get our aircrete operation dialed and start building! ARE your plans for a homebuilt "Little Dragon" still available? They were available a few months back but I don't see plans listed on the home page unless I'm looking in the wrong place; only the full blown Dragon. PS are you having another seminar in San Miguel? 'Missed the last one. Something is obviously not right with your mixture. Without being there it's hard for me to analyze. I suggest making smaller batches until you get a mixture that works.